Mastered at Dubplates & Mastering (Berlin, Germany). It's criminal that this hasn't been repressed. I'd love to own this but I'm not paying the prices on here for a VG+ copy! Long i have waited to have this on vinyl. This EP is unfindable, everywhere and anywhere you look ther is no copy available. That is understandable for a record this old, but really Discogs is the only marketplace that can provide you such rare releases, even for a bankrupting price. That said i'm happy to finally have my personal copy and as soon as i get a new turntable i'll certainly rip this EP to have it in WAV, without having to play the old disc over and over. But other than those technical intentions of mine, the music is immense. The original is one of the most incredible House tracks i've ever listened to, and the last few minutes bring a never-felt-before feeling that closes with a fantastic rolling bassline and an intense background sound, for the best ending one can ever imagine for a composition like this. The loop version is special: it starts in medias res with the cut in loop already banging profoundly. As another user said about a release on this very website, the loop never gets repetitive or annoying, because something magical to it makes it already familiar as soon as it starts and repeats itself a few times. Then the melody keeps on going with imperceptible changes that become clearer through out, accompanied by the loop becoming more and more distorted till the end. B1 is a true experience. Finally, and unfortunately i might say, there's the remix by Dubstar, that brings a Dub Techno taste to the original track, trademark of the artist. The last doesn't come so close to the other two, but it's great and challenges them in its own way. queen of bass mix you‘ll also find on side c of ruta 5. Various ‎– Ruta 5: Austral. side c is whole track, a,b,d side is rsst of compilation which is quite recommended..
what would you say are the chances of a RP here? ricky V just transcending that minimal tech house vibe and just making a straight house classic... without the 808 bass queen vocal the loop version could be a sprinkles song almost... that beautiful rolling sub bass and them moodychords. super fire >.< . used to hate the vox and now i actually kinda like em, go figure! The loop version is simply incredible. I remember walking through the DNA record store in Montreal, and Tiga's younger brother Thomas unwrapped this...track is a dream. Timeless; still get goosebumps today listening to it. Long time ago this genre definitive song had literally become part of my life. It's so beautiful, so introspective - words cannot express that. It's best to dwell into this song by progressively listening legendary 2000s deep house compilations from Swayzak and Terry Lee Brown Jr. I can't believe I'm the first to comment on this! 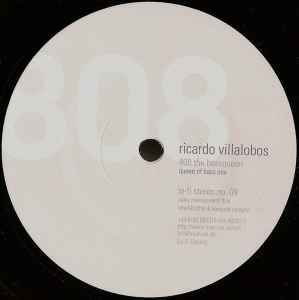 Ricardo Villalobos has made a lot of great songs but this ode to his 808 drum machine is the best. It's fun and quirky enough that it never fails to catch a group's attention but it is still graceful. His timing as he tweaks the bass drum and brings elements of the track in and out of the mix seems preordained. The production is beautiful and psychedelic, simple chords echoing as between mirrors over skipping, bass-heavy house beats. He finally brings in a super-deep rolling bassline for the last minute and it brings this incredible feeling to the song, it's like nothing else!